Most people with an interest in antique furniture will have come across the term ‘English Regency’. Perhaps you’re already familiar with some of the period’s key design features. 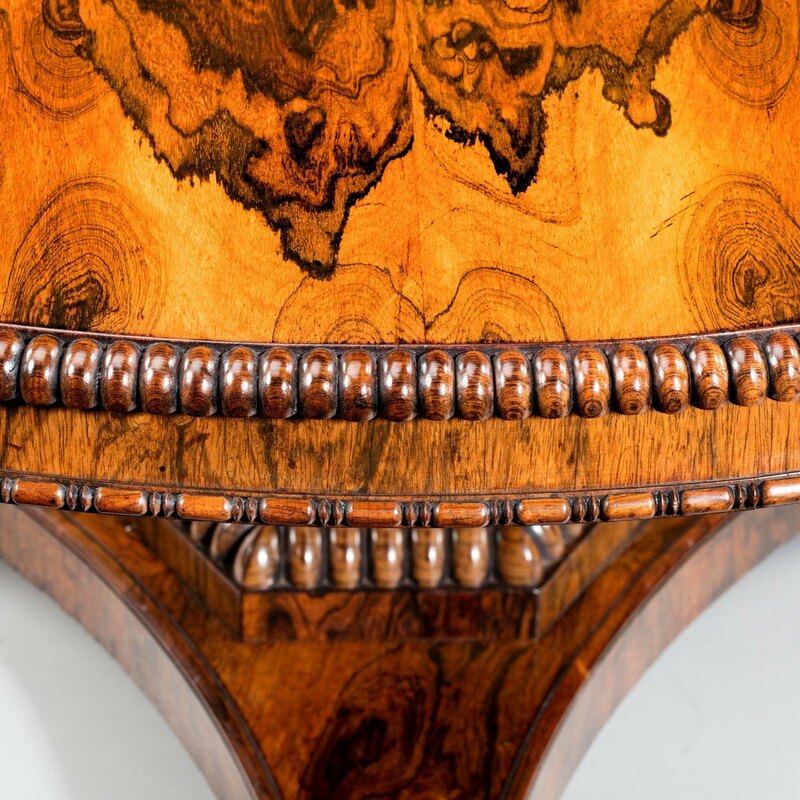 But what’s less widely known is how the tumultuous political and economic backdrop of the time had a powerful influence on furniture design – from the style and detailing right down to the materials used. The English Regency period was named after George IV, son of the famously mad King George III, who ruled England as Prince Regent from 1811-1820 when his father was judged unfit to rule. Based on this, you’d be forgiven for thinking this period was a brief one – but, in fact, the term English Regency encompasses a much wider time frame, from the 1790s right through to the 1830s. 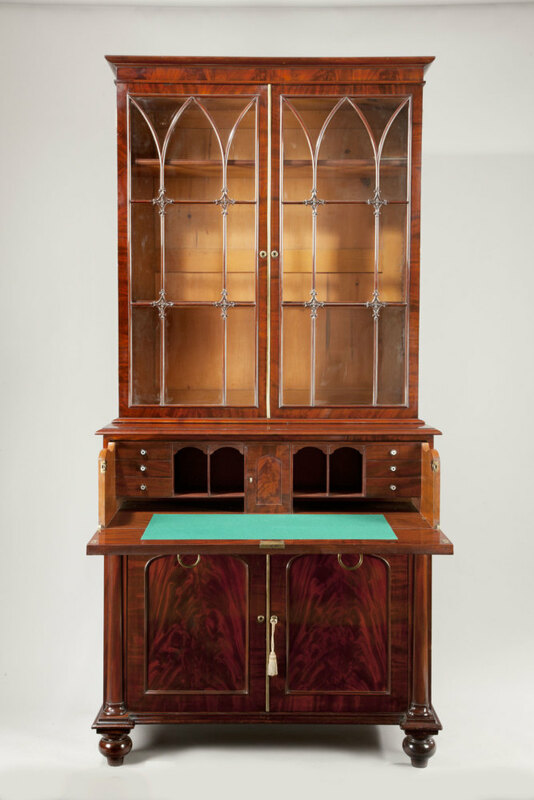 Just like many other art forms, furniture design was often influenced by the political climate at the time. The Napoleonic Wars, which began in 1803 and spanned over a decade, left England’s royal coffers empty and triggered a five per cent surge in income tax. This hit the country’s wealthiest residents hard, forcing them to rein in their spending. And, so, a more restrained and austere style of design was born. 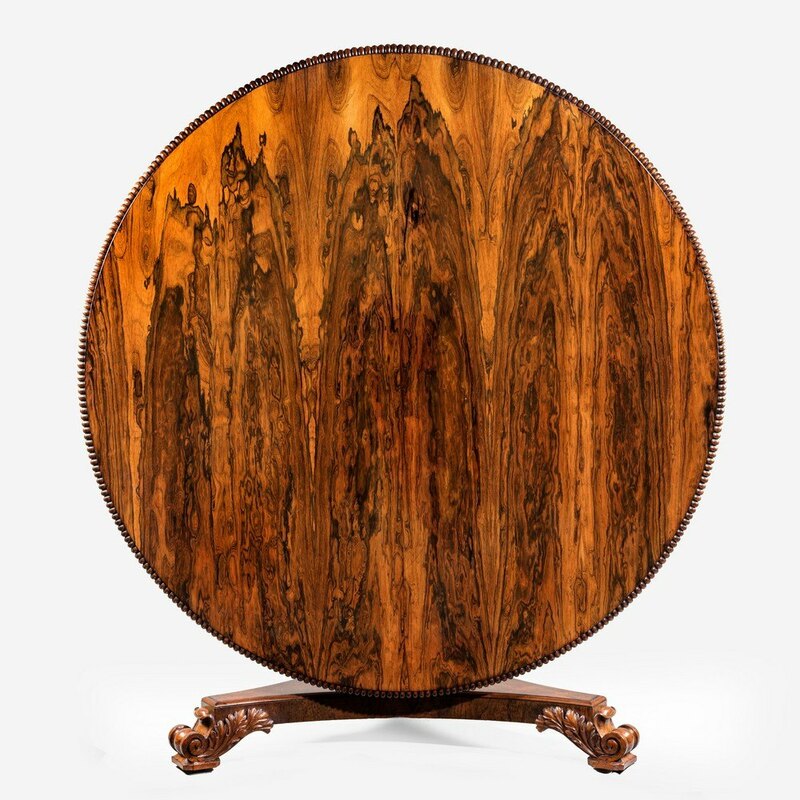 Prior to the Napoleonic Wars, exotic timbers from the West Indies were a popular feature of late 18th and early 19th century furniture. But thanks to the French blockade of the English Channel, supply routes dried up and these timbers became scarce. Tariffs rose on imported timber and the previous Baltic and European timbers all but disappeared until except for absolute luxury items. 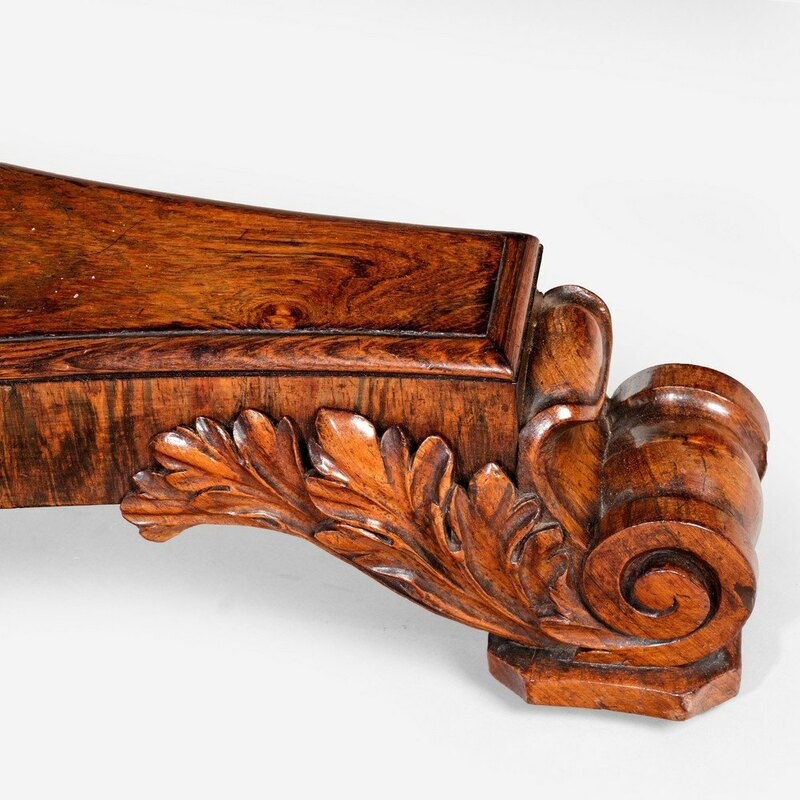 Until the Regency period, oak, pine and walnut were the most prevalent materials used for furniture making until Rosewood, Mahogany and Brass began to be used in abundance. 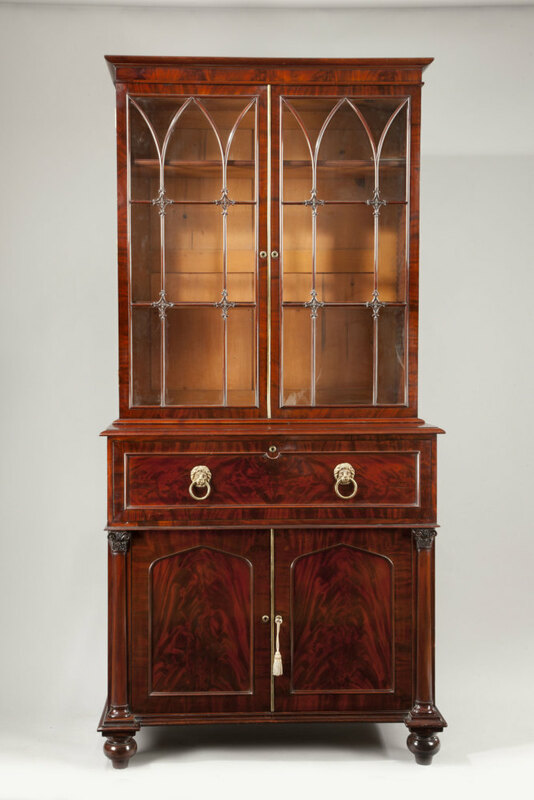 English Regency furniture has much in common with the French Empire style, which was equally restrained, used similar materials and evolved around the same time period. 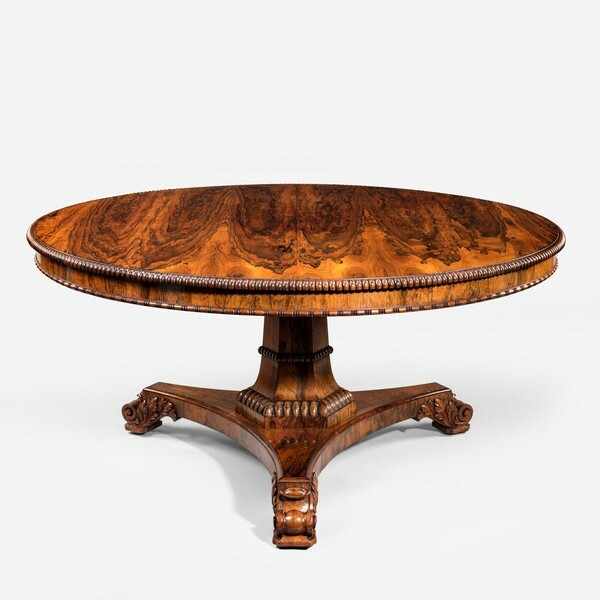 This wonderful circular table belonging to Wick Antiques, is a classic example of the English Regency style and makes a fantastic breakfast table. Pair with painted Louis XVI chairs for a dramatic juxtaposition or modern chairs for a more contemporary feel. 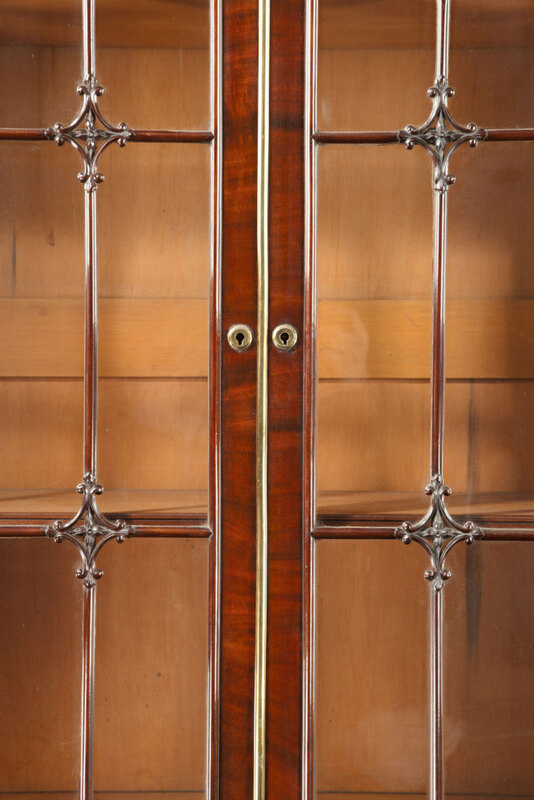 With its striking astragal glazing bars, this bookcase is another typical piece from the era. Style it alongside a contemporary sofa for maximum impact. Fill with obscure unexpected objects for a break in tradition. Because of its comparative simplicity, English Regency is one of the easiest antique styles to integrate into a modern home. The straight lines complement modern tastes and stark interiors yet are equally beautiful when used in a traditional environment. That’s why we often see Regency pieces teamed to great effect with Louis XVI and French Empire in the one space. 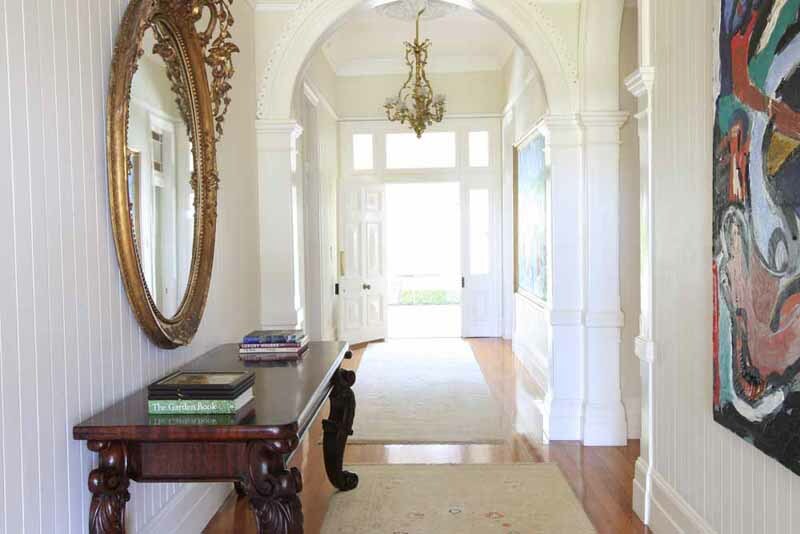 English Regency’s enduring style and popularity is in large part thanks to this incredible versatility. It’s an ideal style for use in Hamptons style interiors, or those who enjoy the contrasting effect created when you mix old with new. Regency pieces are often perfect candidates for refurbishing – upholstery can completely transform a piece and match it to a more contemporary interior style. Just be sure to work with an expert in antique restoration to ensure you retain the integrity of the original piece. Another design tip is to experiment with mixing hard with soft: the bold, sturdy shapes of Regency furniture are the perfect foil to softer, more luxurious furnishings. 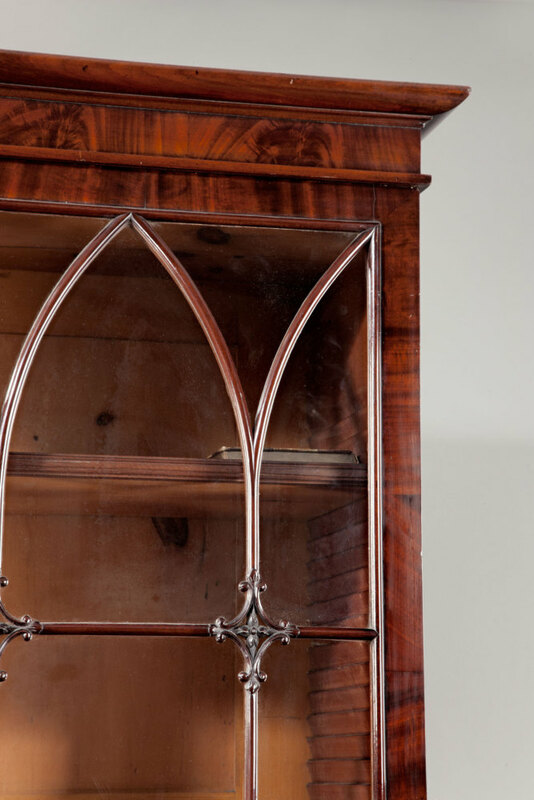 Find out more about how to integrate antiques into your home.